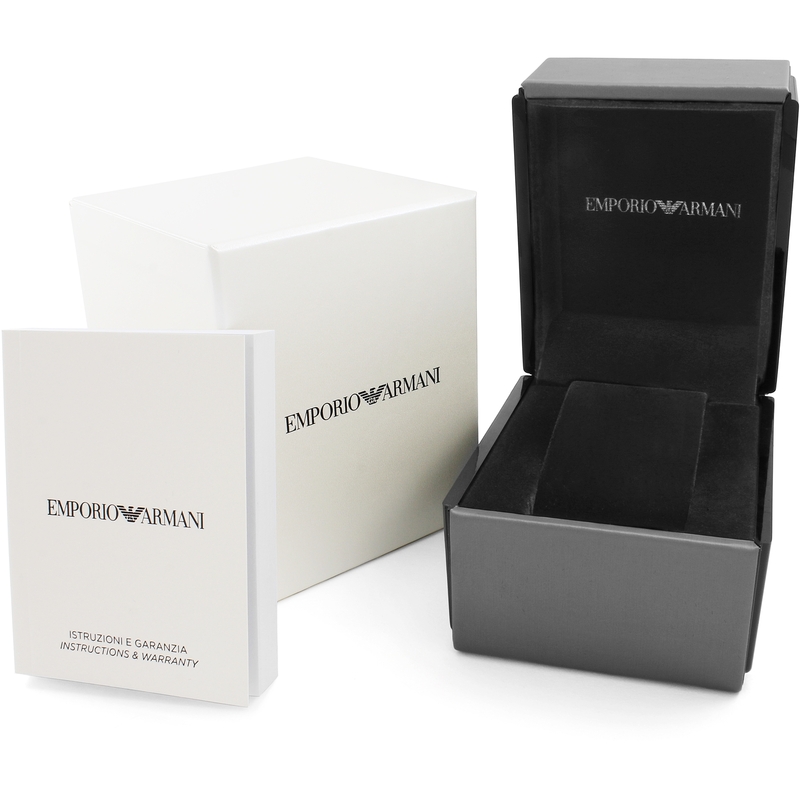 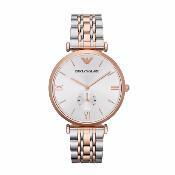 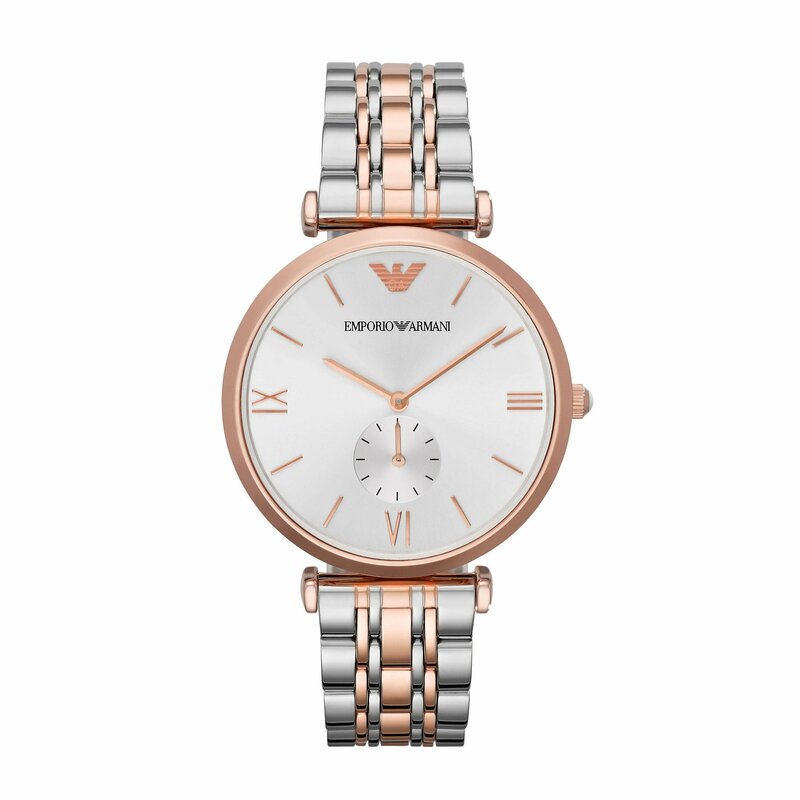 New Men's Emporio Armani classic two-tone designer watch. 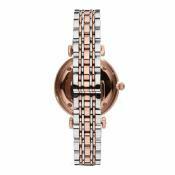 This watch is complete with a quartz movement and a separate seconds sub dial featuring at 6 O'Clock. 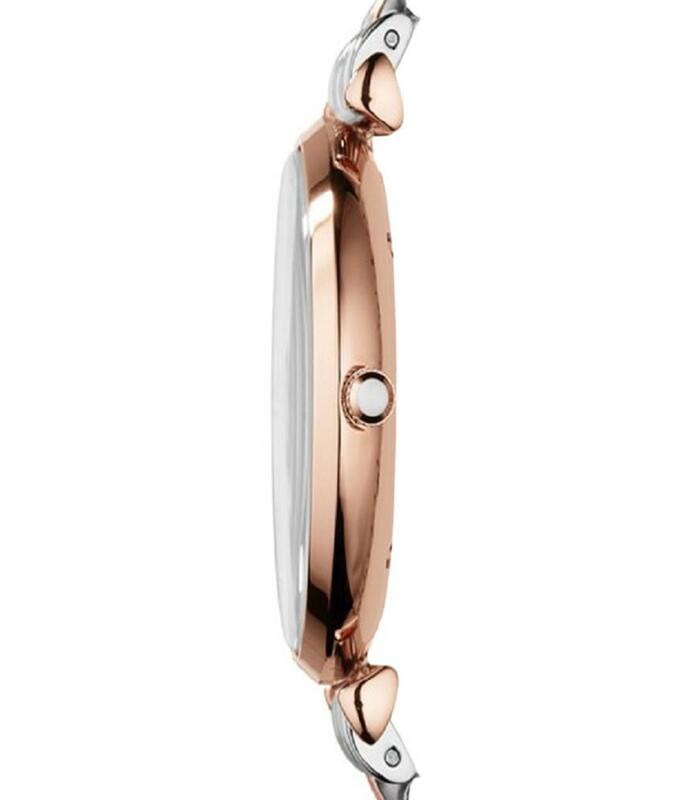 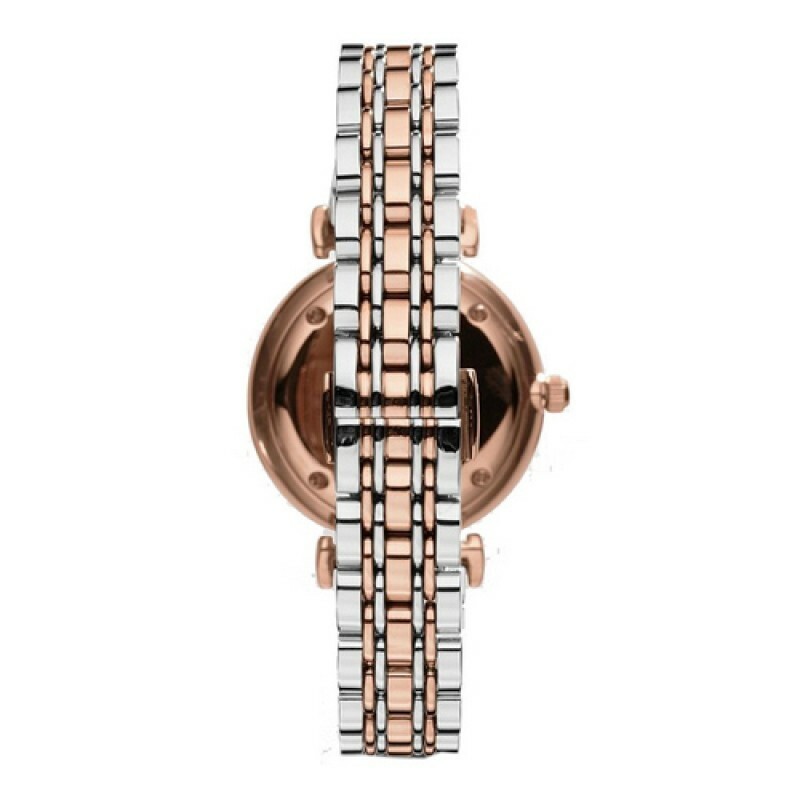 It fastens with a polished stainless steel and rose-gold bracelet and a silver dial with rose gold slim line hour markers and matching insert hands.